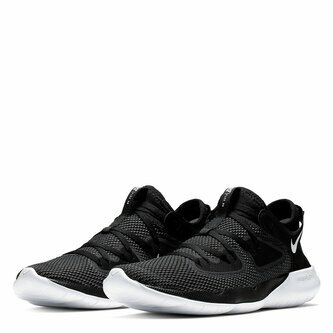 Make running asa comfortable as sitting around when you train in these Nike Flex Run 2019 Ladies Trainers in Black and White. These Nike Flex Run 2019 Trainers are crafted with lace fastening and a padded ankle collar. They feature a cushioned insole for comfort and a chunky sole for grip. These trainers are designed with a signature logo and are complete with Nike Swoosh branding.